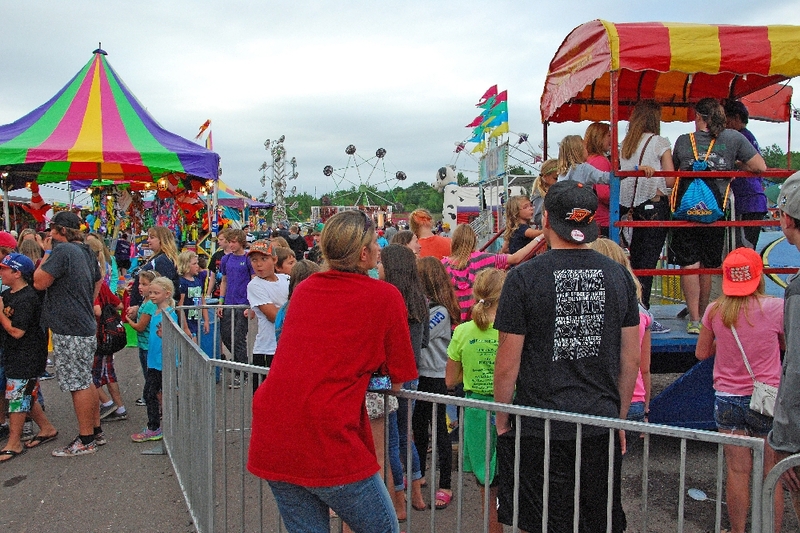 The 63rd Annual Houghton County Fair got under way the third week in August, with a change in the Carnival coming to town. 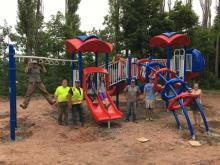 Spectrum Entertainment, from Bessemer, MI will be the new Midway venue. 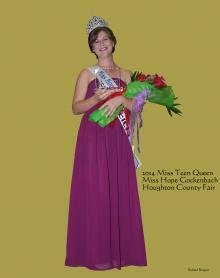 Thursday evening, opening night, always brings the Miss Houghton County Teen Queen contest. 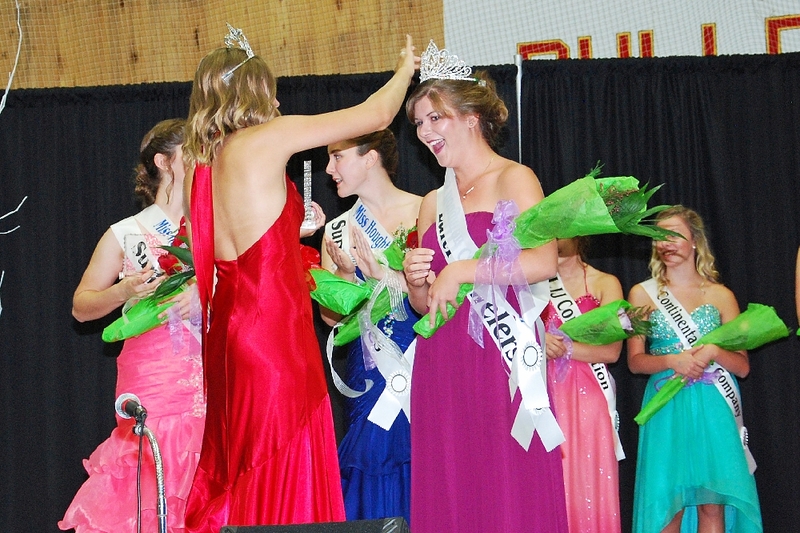 This year, seven young ladies vied for the Title. 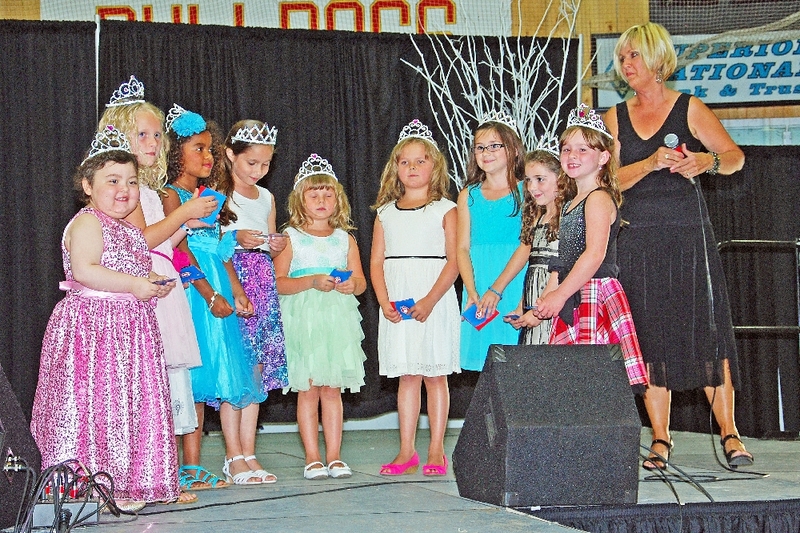 During a lull in the activities while votes were tallied, a Miss Princess show was held on stage, featuring nine younger ladies. Then it was time, the judges decision was for Miss Hope Gockenbach, of Chassell, MI. Hope’s talent presentation was singing, accompanied by her guitar playing. 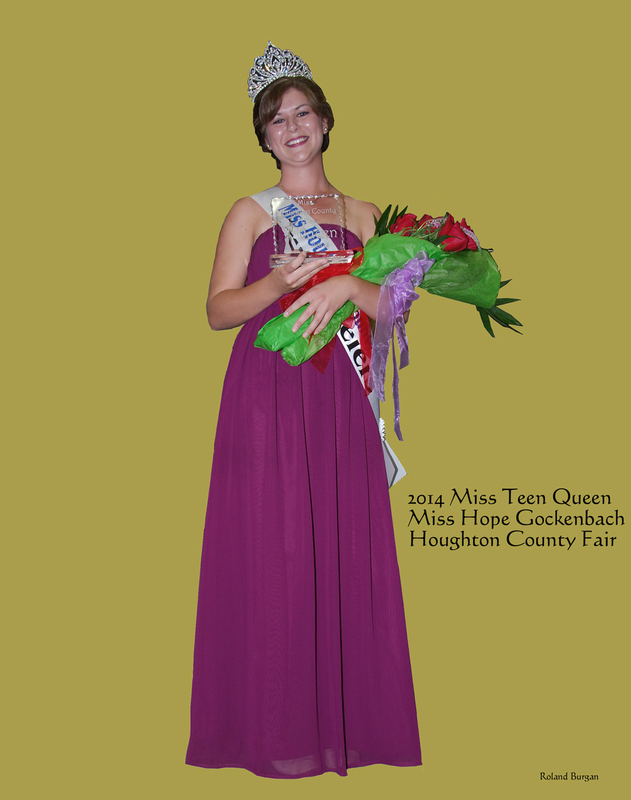 Hope Gockenbach, Miss Houghton County Teen Queen, 2014. 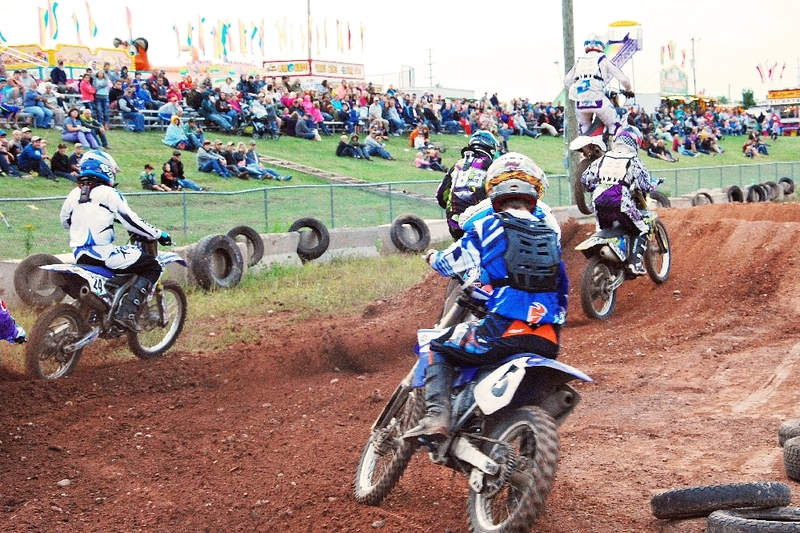 The featured Main Event Arena Show on Thursday is the Motocross Racing. 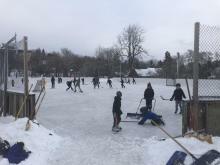 One of the groups get under way. 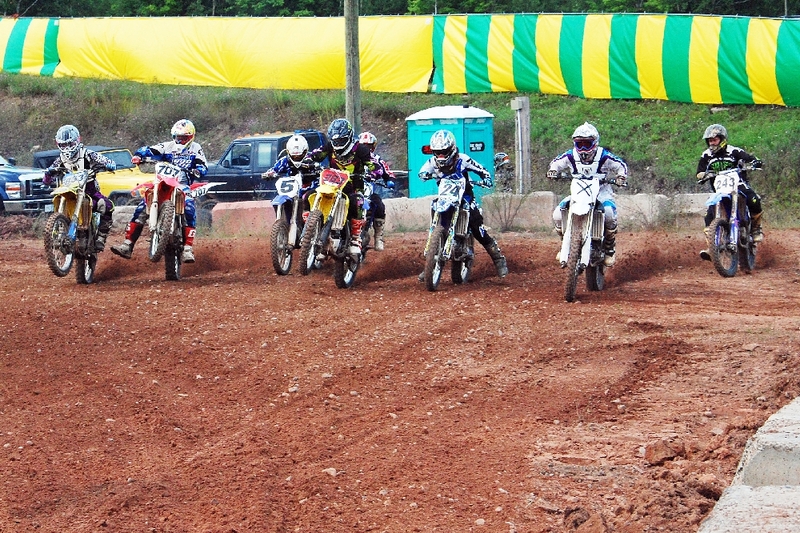 These competitors are really bunched up as they go into a turn. The course moguls offer opportunities to get some air under them. 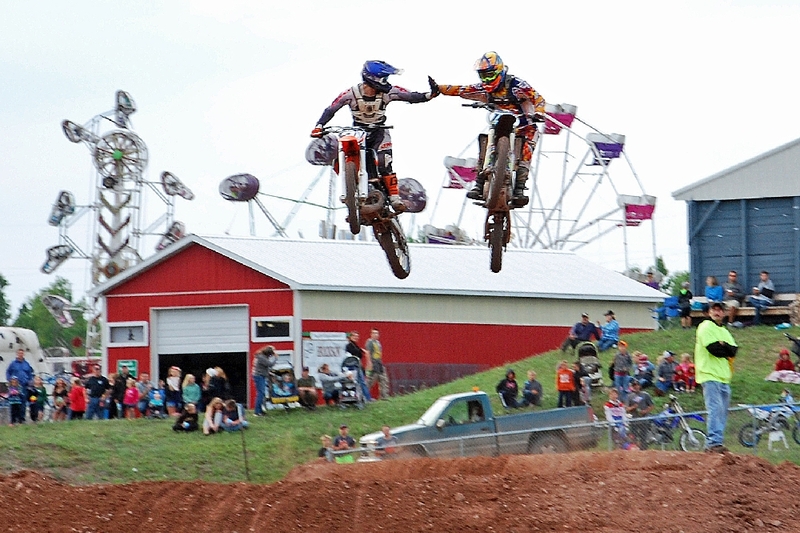 Something you don’t see every day ... two competitors high five each other in mid air! 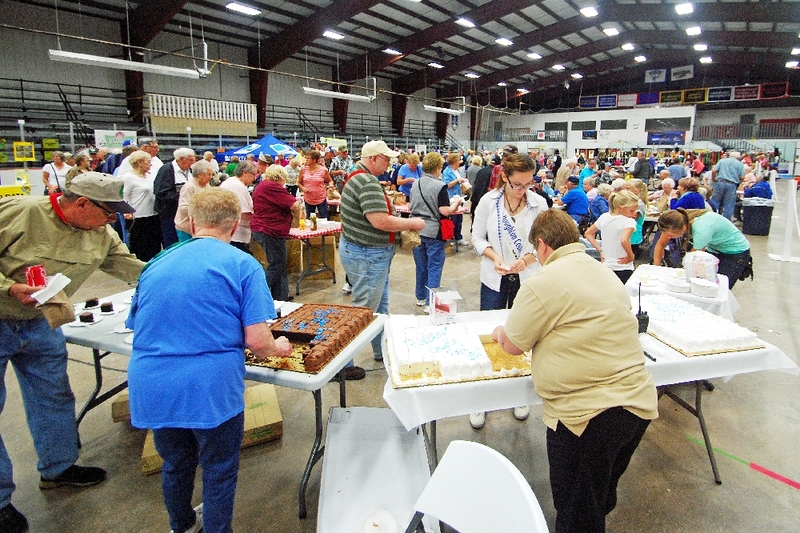 Friday brings Senior Day at the Fair, including lunch (age 55 & over), with prize drawings and entertainment (and several kinds of cake). More of the senior crowd that comes to take in the activities. Also during Senior Day, the various Awards for Homemaker skills are announced. This year, Homemaker of the Year honors went to Carol Kreher. 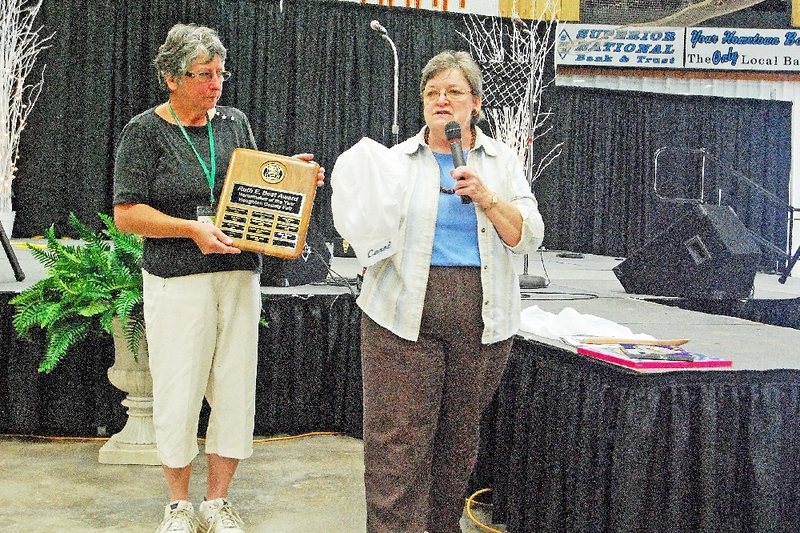 Making the Award, was Judy Albee (L), and Carol Freeman. Carol Kreher could not be present. 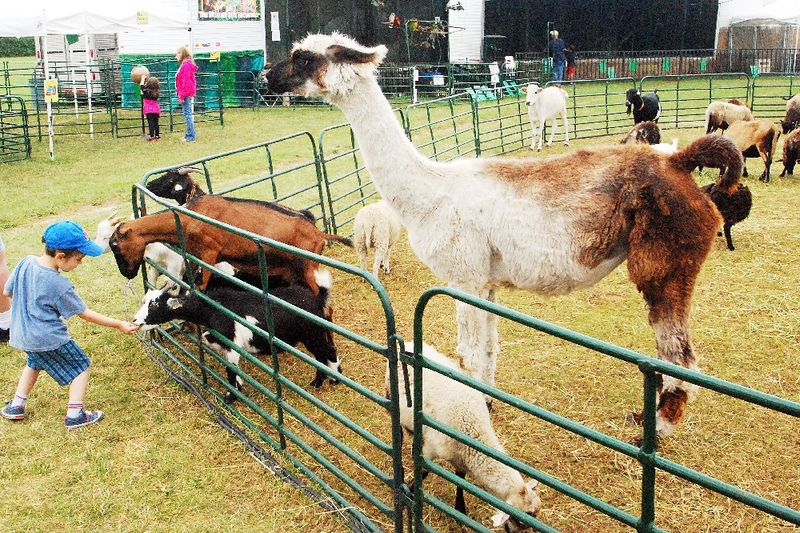 This little tyke enjoyed feeding and making friends with the sheep at the Whispering Pines Mobile Zoo. He is Jonah, age 4. 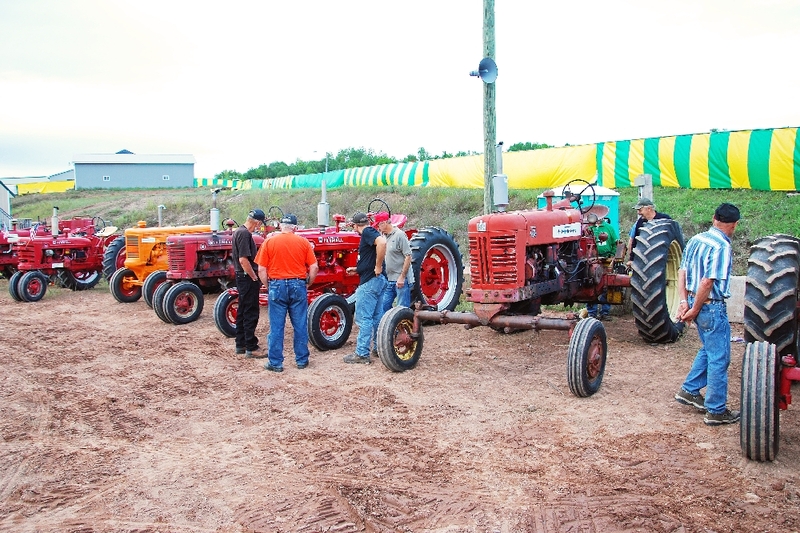 Just some of the tractors getting ready to do battle in the Tractor Pull Event on Friday. 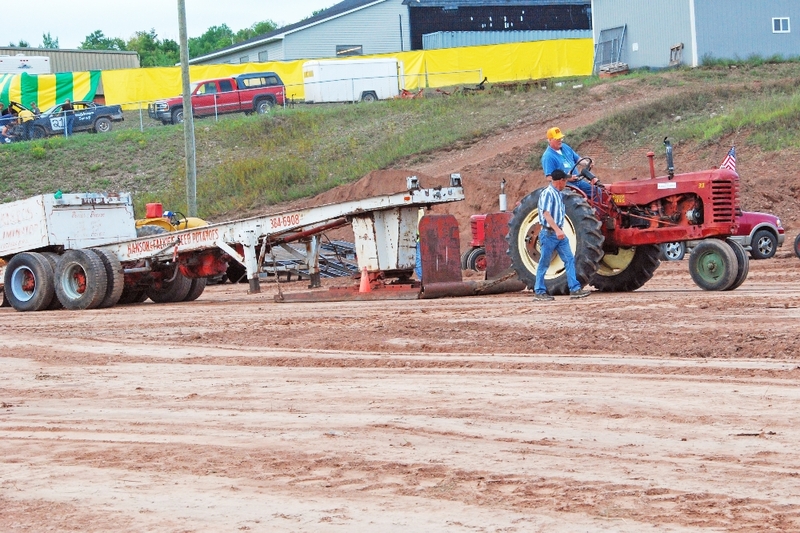 Here, Howard Junkin, an old hand (but not necessarily old), takes his shot in the 3,000 to 5,000 lb. pull class, He did not win this year in this part of the event. 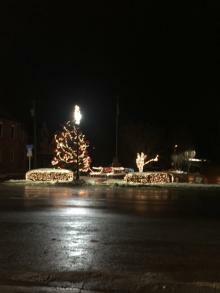 His son, daughter-in-law, and grand daughter also competed this year. 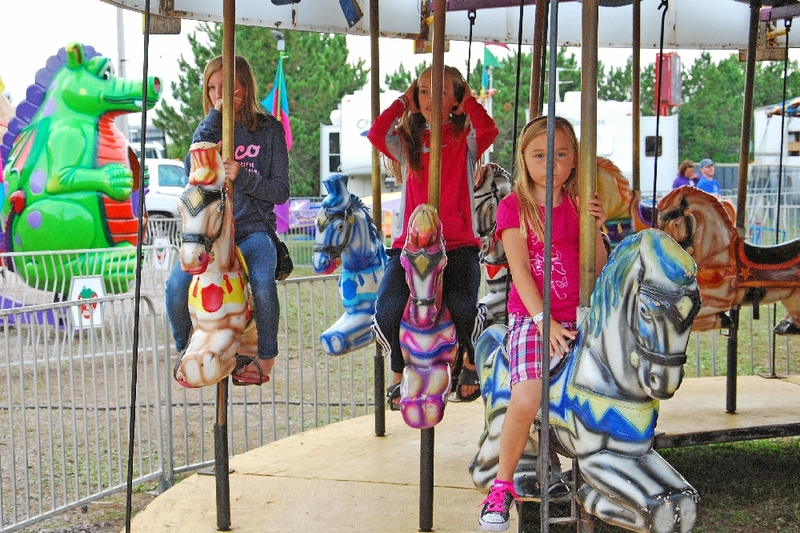 The young ladies take a spin on the Merry Go Round, at Spectrum Entertainments Rides. 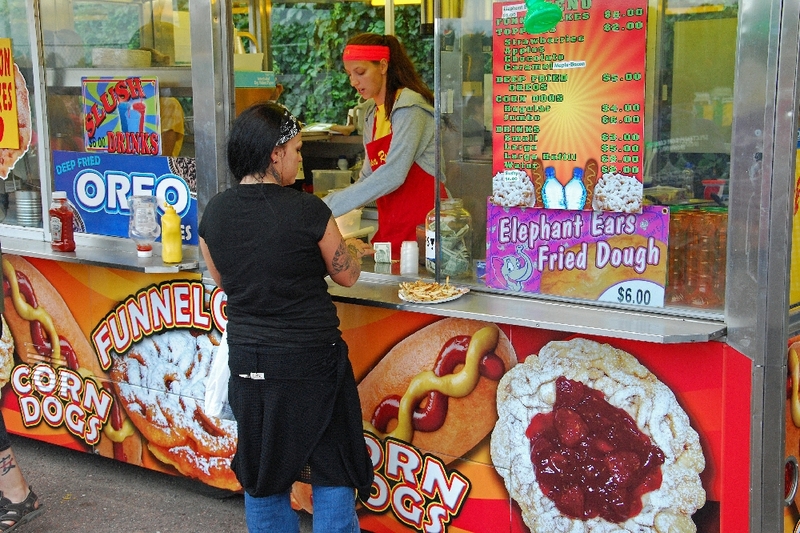 How can they make a photog travel back and forth past the food stands, with all the great smells, big display signs, and people eating all that good Carnival food. Just ain’t right! 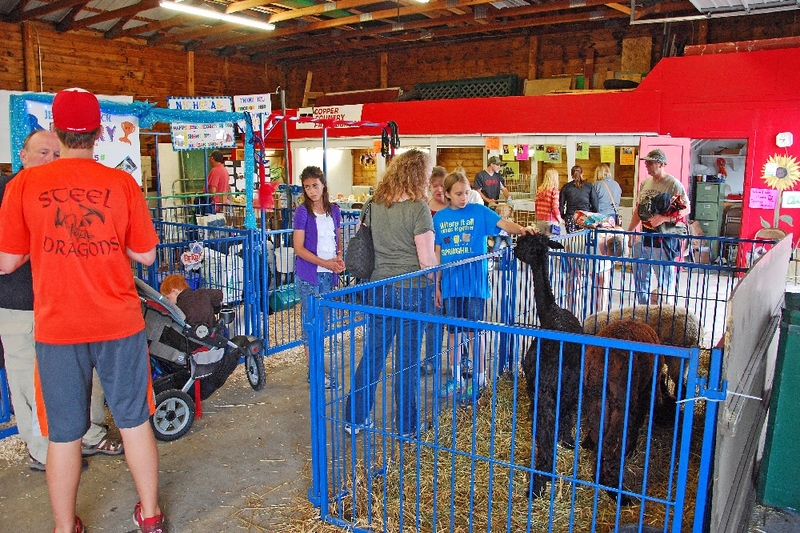 A view in the large animal barn, here, the Alpacas get some attention. 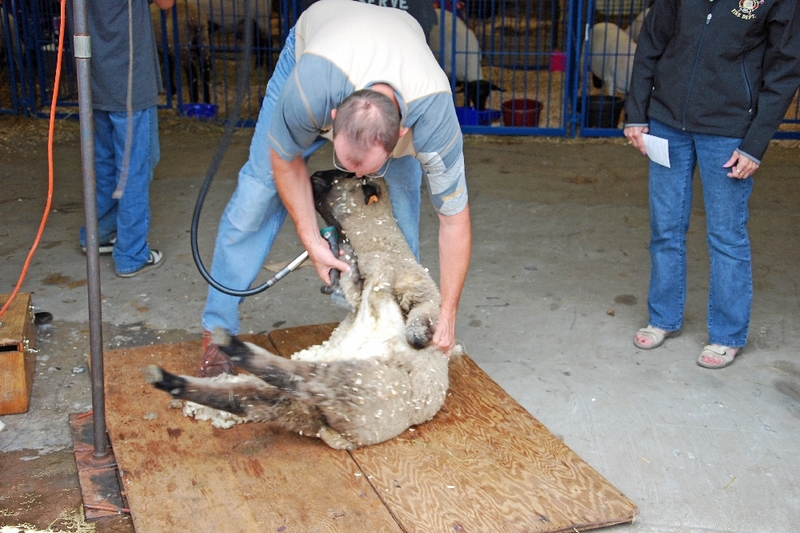 A featured exhibit was a sheep shearing demonstration. The Midway on Friday evening, lots of things to see and do. 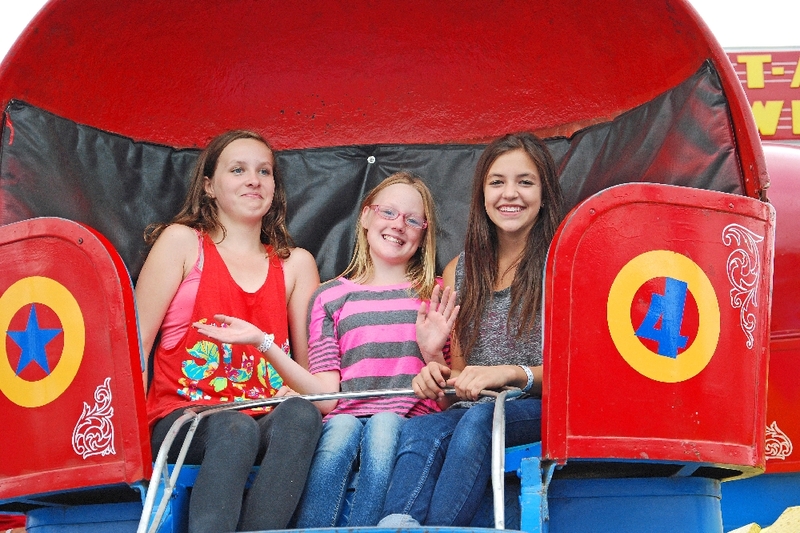 Three young gals take a spin in the Tilt-A-Whirl. 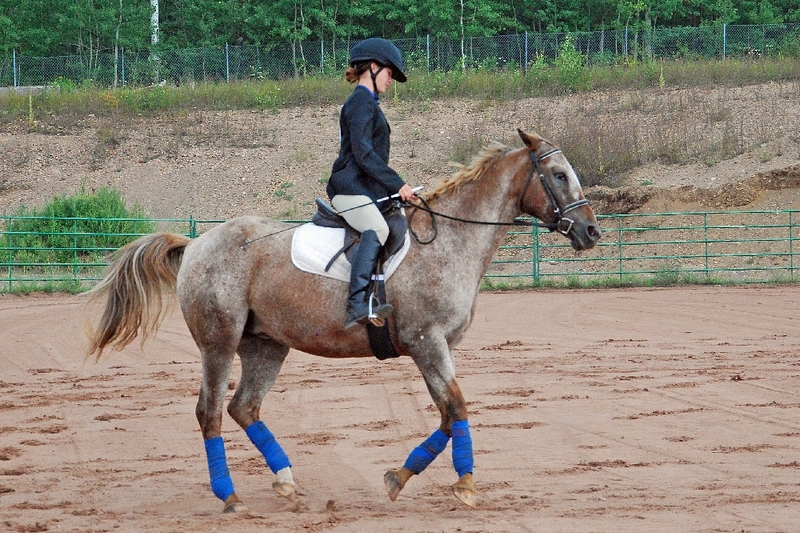 Saturday morning brought the equestrian activities at the Horse Arena, which would be completed on Sunday morning with a winner. 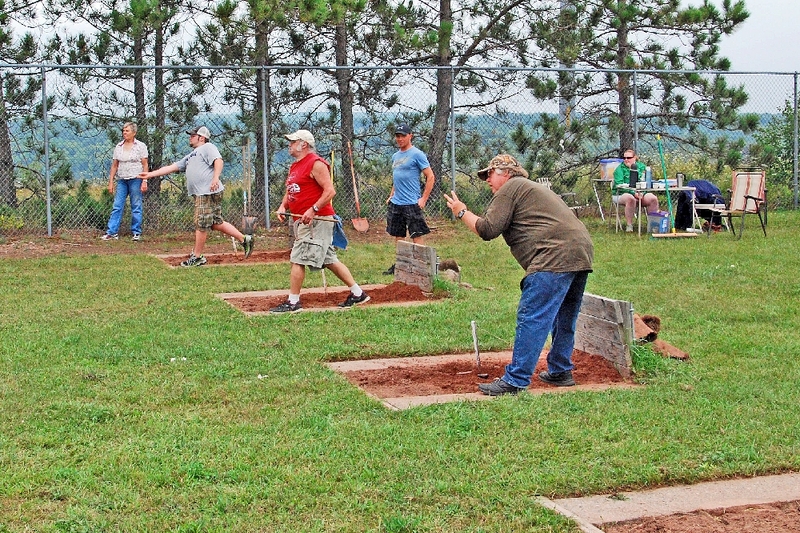 Also on Saturday were the singles horseshoe games, with the doubles tournament being held on Sunday. 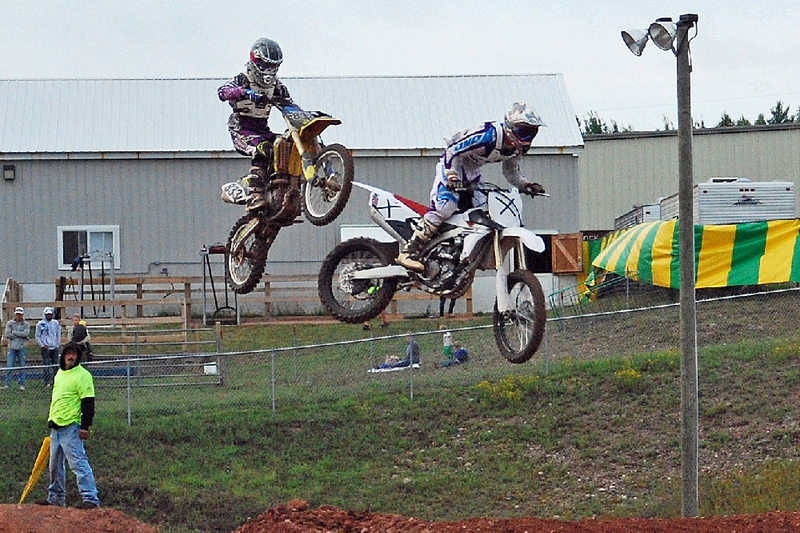 And in the Main Event Arena, Wards Husqvarna Local Logging Competition. 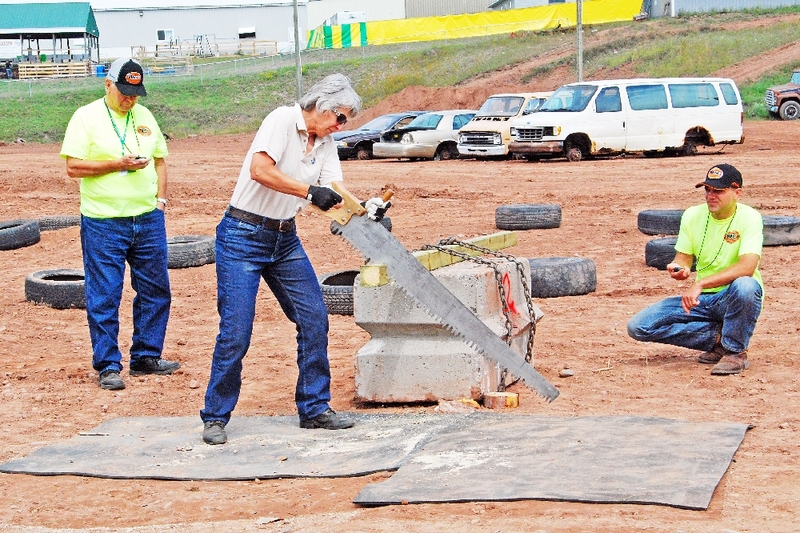 Here, Kathy Caspary tries her hand at cutting a 4x4 quicker than her competition. 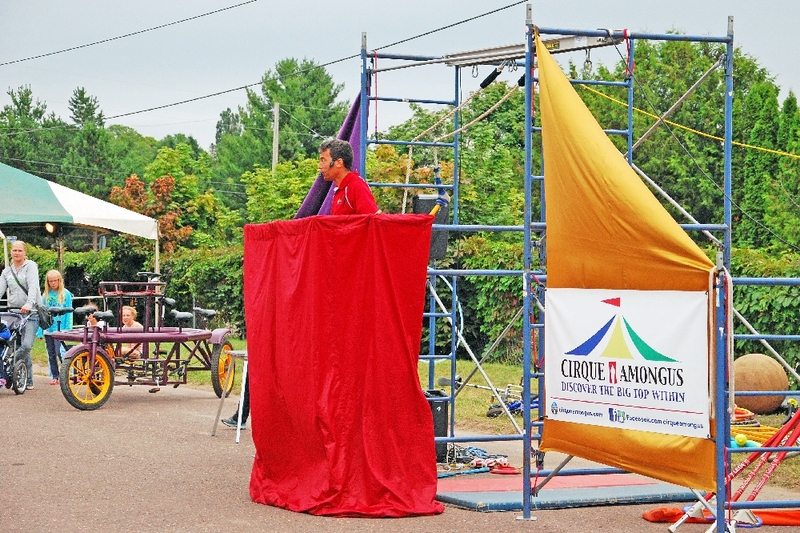 And during the Fair, the Cirque Amongus Show on the Midway entertains the crowd. 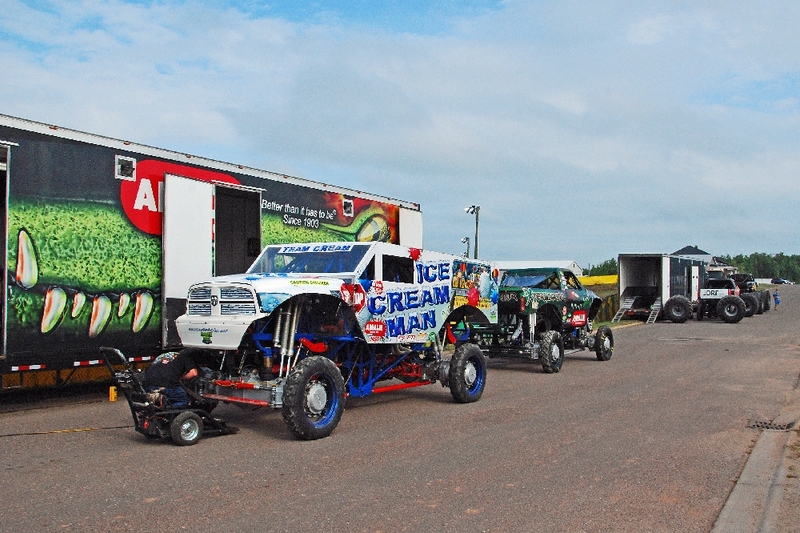 Saturday evening, these Monster Trucks will take the Arena Floor for a great entertainment show. 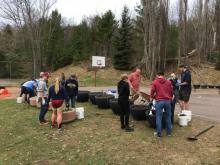 But first, machines need to be tuned up, and new huge tires need to be mounted, to get them ready. 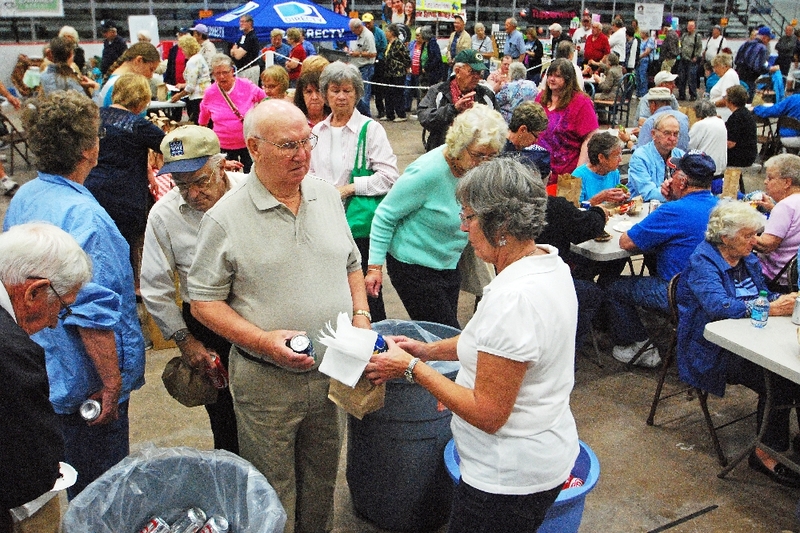 Join us next year at the Houghton County Fair, in Hancock’s Fair Grounds.